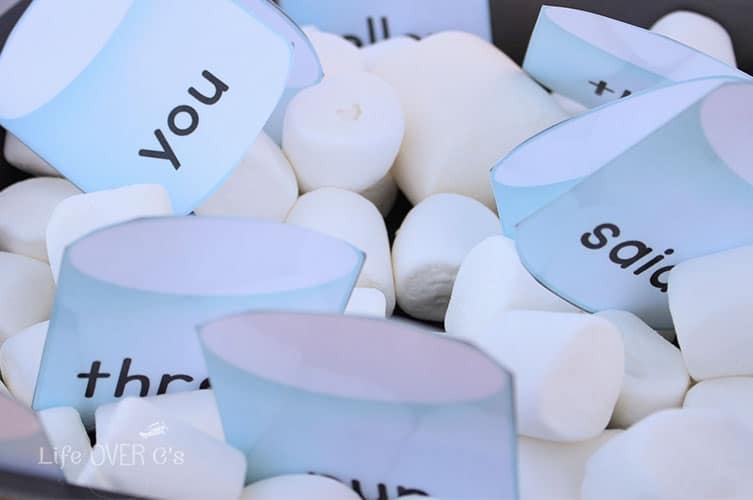 Nothing says “I love you” more on a cold, wintery day than hot chocolate with marshmallows. My kids beg for it all winter long. Even when they are not outside playing in snow. But it’s an absolute must after a good session of snow play. 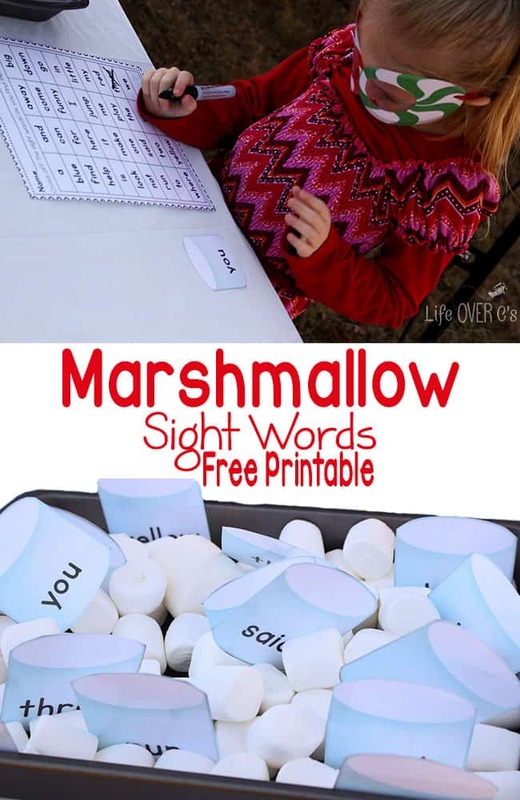 This marshmallow sight word free printable is fantastic paired up with a marshmallow sensory bin and a good cup of hot chocolate. 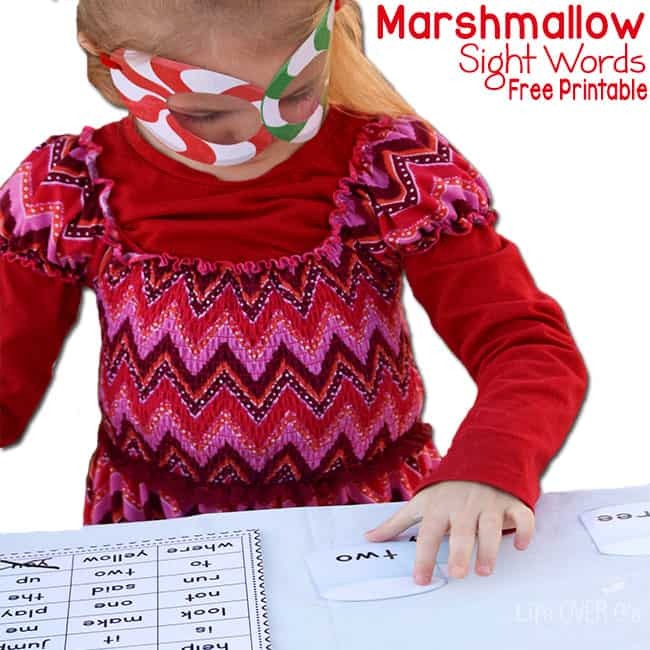 Print the marshmallow sight words and laminate if desired. Cut apart the marshmallows. Cut out the peppermint glasses. I cut the holes for the eyes, laminated and then cut around the glasses to give more of an appearance of ‘glass’ in the eye holes. My daughter said she had a bit of difficulty seeing with it like that, so you may want to leave the eye holes clear. Punch one hole on each side of the glasses near the ears. Thread one pipe cleaner through each hole about 1 inch and then fold backward and twist the pipe cleaner onto itself to secure in the hole. 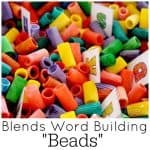 After holding the glasses up to a child’s head pull the other ends of the pipe cleaners together and twist to create a band to hold the glasses on. Be extra careful not to twist hair into the pipe cleaners as that could really hurt. 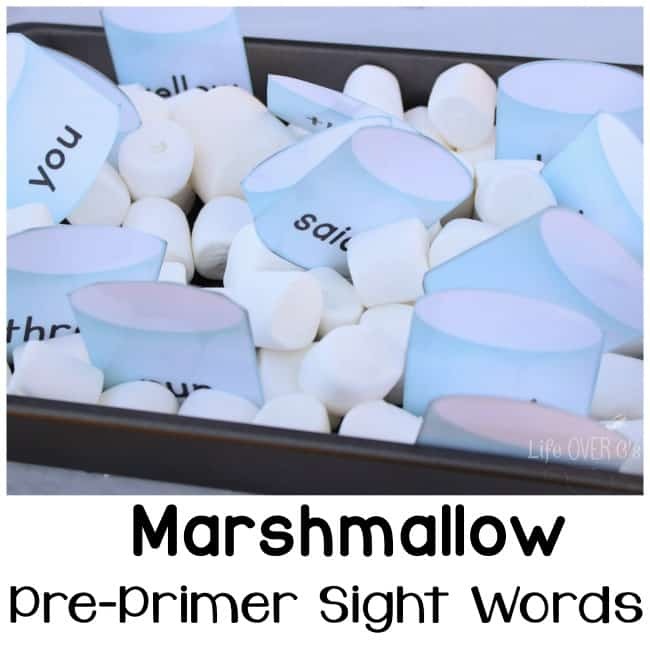 Empty the two bags of marshmallows into a small sensory bin or cake pan (this is what we used). 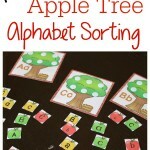 Then select the words that you want to review and scatter them throughout the real marshmallows. 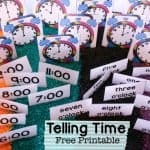 Have your child read the sight words and write them on the included recording page. 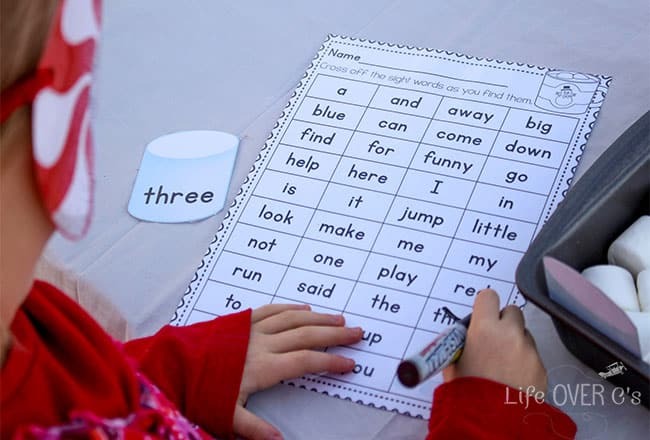 Alternatively, you could use the sight words as a scavenger hunt like we did with this squirrel and acorn sight word activity.